What are the best ways, types and times to stretch (very important)? This is the first of a couple of posts about flexibility. Today I want to talk about the Active Warm-up. If you are like most of us, you were taught how to stretch in your high school weight lifting class and you’ve likely continued with pretty much the same routine ever since. Science, however, has moved on. Researchers now believe that some of the old school workout warm-up regimens are not only a waste of time but actually pose potential risk. This “old school” warm-up routine of starting your workout with a brisk walk or jog, then perform some simple body part stretches and hold them for 20 to 30 seconds (static stretching) can actually harm your body and weaken muscles. In a recent study conducted and the University of Nevada, Las Vegas athletes generated less force from their leg muscles after static stretching (holding stretches for over 10 seconds) than they did after not stretching at all. Other studies have found that this stretching decreases muscle strength by as much as 30 %. A warm-up should do two things: loosen muscles and tendons to increase the range of motion of various joints, and literally warm up the body. When you are at rest, like when you hold a stretch, there is less blood flow to muscle and tendons and they stiffen up. Dynamic Stretching (active warm-ups or movement prep exercises) are movements through a range of motion without holding at an end point. Dynamic stretching avoids bouncing motions and tends to incorporate more sport-specific movements. This form of stretching prepares the body for physical exertion and sports performance. Dynamic stretching increases range of motion through movement and increases blood and oxygen flow to soft tissues prior to exertion. I feel that out of all of the various components of a workout (core work, strength training, intervals) the dynamic warm-up is the most important. Firefighters that consistently incorporate this components see great performance improvement and injury reduction. How do you do the movement? Rather than have you hold your stretches, as in traditional stretching, you move your body into position just for a few seconds and then go back to your starting position. The warm-up routine wakes up your muscles and not just for your workout, they remain flexible for the rest of the day. Here’s why that’s important: let’s say you’re walking on a winter day, and your foot slips on the ice. How well your body reacts to that slip on the ice depends on your muscle efficiency and balance. Active warm-ups, switch on your body’s small muscles, which helps with balance and increases muscle efficiency. 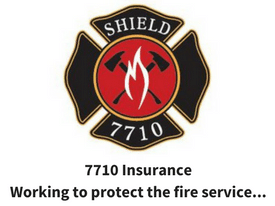 It prepares your body for random, quick movements found on the fire ground by fine-tuning its nerves and feedback mechanisms. Generally, I recommend to do 5 to 10 repetitions of each of the warm-up exercises; not only will it feel like part of your workout, at first it might feel like a workout itself. I listed an example of one of the active warm-ups from workout #3 from The Ultimate Fire Athlete Workout Program. 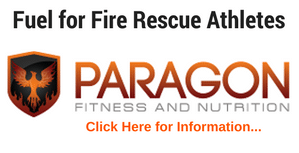 The Rapid Fat Loss for Firefighters Workout also utilizes “active’ warm-ups. Give these exercises a try, you’ll be better prepared for not only your workout but for whatever challenges your daily activities bring. I feel that incorporating an Active Warm-up into your workout will increase your flexibility, speed recovery, increase your strength and ultimately prolong your career as a Fire Rescue Athlete. 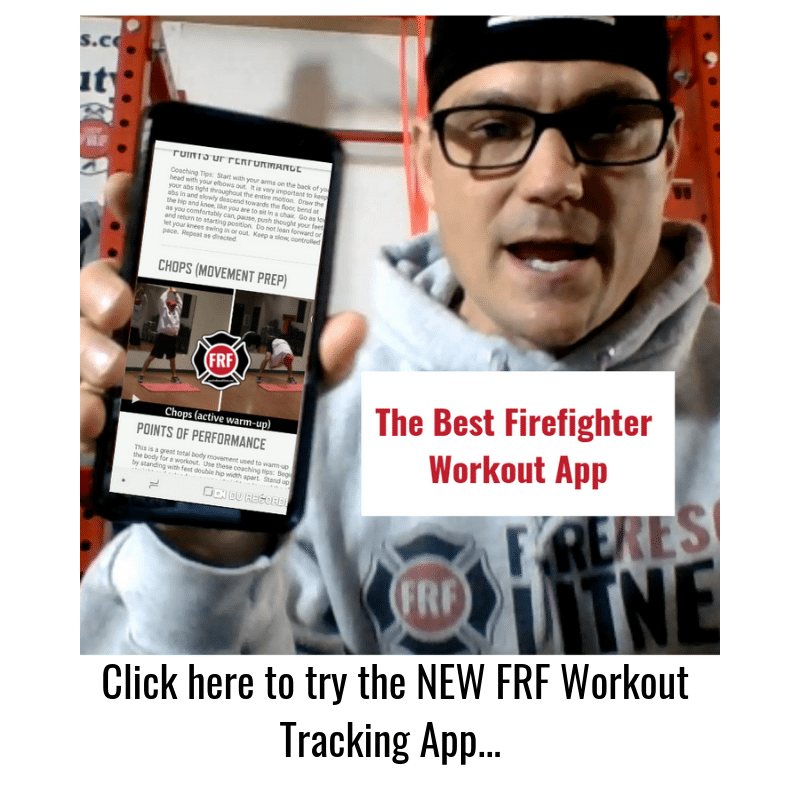 How Can I Go about ordering The Ultimate Fire Rescue Athlete Workout Program Book? I try to order it & I get sent to some awkward page that has nothing to do with ordering this book. Can you tell me how I can order it, Please?